It's been quite a week for Manchester City. Coming off their thrilling 2-1 league victory over Liverpool last Thursday, they pummeled Rotherham United 7-0 in the FA Cup on Sunday, and then did something even worse to Burton Albion in the Carabao Cup on Wednesday, defeating them 9-0! They're also the biggest favorites in the Premier League this weekend, playing at home against Wolves. So, stack your fantasy team with Manchester City players, right? First, let's put the two cup games in perspective. Rotherham United are 21st in the Championship, just three points above the relegation zone and in danger of dropping down to League One. Burton Albion are already in League One, and only in ninth place. This was not exactly stiff competition. The win over Liverpool was extremely important, closing the gap at the top of the table to four points, and effectively reigniting the title race. But it wasn't as impressive a performance as you might think. Manchester City took just nine shots, and had an expected goals total of only 1.03. Sergio Aguero and Leroy Sane scored goals, but as I mentioned earlier this week in my fantasy analysis of that game, Manchester City's goals have been spread out among many different players over the past few league games. The Manchester City player I feel most confident about is Aguero, who leads the team with 10 goals and has an even higher expected goals total of 10.47. But he missed the cup games due to illness, which is a bit of a concern -- especially since Manchester City don't play until Monday, so you won't know if he's in the starting lineup until all the other games have already been played. And Wolves are no slouches defensively, they have the sixth-best defensive record in the league, conceding only 25 goals in 21 games, and held Manchester City to a 1-1 draw in their first meeting. Aguero certainly could have a big game, but I think there are better, safer choices this week at Tier 1 forward and Tier 1 midfielder than the Manchester City options. Liverpool are also heavy favorites this weekend, playing at Brighton. Mohamed Salah didn't score against Manchester City, but he had a goal in three straight games prior to that, and an assist in each of those games as well. Salah also scored the goal in Liverpool's 1-0 win over Brighton earlier this season. He took six shots in that game and six chances created, finishing with 26.4 fantasy points. He has a more stable floor than Aguero fantasy-wise, and he'll be my Tier 1 forward this week. The second-biggest favorites this weekend, slightly ahead of Liverpool, are Chelsea, playing at home against Newcastle. 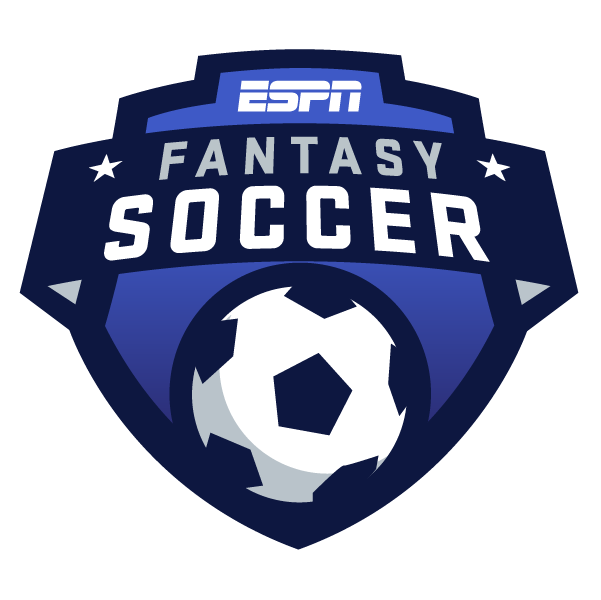 And despite not scoring a goal in the past two league games, Eden Hazard remains the league leader in fantasy points per game, averaging two points more than any other player -- in part because he's also the league leader in chances created with 57. Hazard has finished in double figures in points in eight straight games, and in 15 of 17 starts this season. And he scored one of his 10 goals in Chelsea's first meeting with Newcastle, a 2-1 victory at St. James' Park, and took five shots in that game. He'll be my Tier 1 midfielder this week. Both Salah and Hazard are solid captain options. I'm going with Salah because of his recent goal-scoring form. He has six goals in his past six league games. Hazard has just three goals in his past 12 league games. There continue to be lots of attractive options at both Tier 2 forward and Tier 2 midfielder. Marko Arnautovic is currently the top Tier 2 forward in terms of fantasy points per game, and scored both of West Ham's goals in their 2-2 draw with Brighton last week, but I'm not picking him this week. Arnautovic has struggled with injuries this season -- including being taken off in the first half of West Ham's FA Cup game last weekend, although he's expected to play against Arsenal on Saturday. What's even more troubling is a team from China is bidding for his services, and apparently he wants to go. Sounds like Arnautovic is unhappy, and that's enough to sway me towards Aleksandar Mitrovic instead. Fulham have the easier matchup this weekend anyway, playing a Burnley team that has conceded 42 goals in 21 games. Mitrovic scored two goals against Burnley in Fulham's 4-2 victory over them earlier this season. He didn't score in Fulham's most recent league game, a 4-1 loss to Arsenal, but had three shots on goal, and scored a goal in the game before that. Speaking of Arsenal, Granit Xhaka is now the top Tier 2 midfielder in terms of fantasy points per game. He scored his third goal of the season in that win over Fulham mentioned above, but Xhaka's not a big enough goal threat for me. He's only taken 21 shots in 20 league appearances. Ryan Fraser is next on the list, and he had a goal and an assist in Bournemouth's 3-3 draw with Watford, their most recent league game. Fraser is up to five goals and nine assists on the season -- tying him with Hazard for the league lead in assists. But Bournemouth are significant underdogs this week, playing at Everton, and Fraser is facing a late fitness test due to a hamstring injury. Instead, I'm picking a player from the favorites in that game, Gylfi Sigurdsson. He did not score a goal in Everton's most recent league game, a 1-0 loss to Leicester City, but took three shots and had three chances created, finishing in double digits in points. And he scored a goal in each of his previous two starts. Sigurdsson also had an assist in Everton's previous meeting with Bournemouth, a 2-2 draw. And this time he'll be playing at home, against a team that has conceded the fourth-most goals overall (40), and second-most at home (23). Plus Sigurdsson's on penalties, giving him extra goal upside. Gerard Deulofeu, Watford (Tier 3 midfielder): This is a little risky. Deulofeu did almost nothing last time out, despite Watford scoring three goals against Bournemouth -- he finished with just 1.9 points. But Deulofeu had a goal or assist in three of his previous four games, and Watford are only slight underdogs despite playing at Crystal Palace. Virgil van Dijk, Liverpool (Tier 1 defender): Not only is he the top defender in terms of fantasy points per game, but Van Dijk completed a season-high 108 passes in Liverpool's first matchup with Brighton, and I expect Liverpool to dominate possession again on Saturday. Lucas Digne, Everton (Tier 2 defender): He was disappointing last time out against Leicester City, accumulating just 4.3 points, but finished in double figures in six of his previous seven games. Digne has 39 chances created, which ties him for the 10th in the league and is 11 more than any other defender. And Bournemouth have conceded 15 goals in their past four games, if you include their 3-1 FA Cup loss to Brighton last weekend. Kepa Arrizabalaga, Chelsea (Goalkeeper): He's coming off back-to-back clean sheets against Southampton and Crystal Palace, and will be playing at home against a Newcastle side that has scored 15 goals in 21 games -- only Huddersfield Town have scored fewer (13).